Larger hardcover format of this essential resource offers larger type sizes and more user-friendly access to thousands of facts. 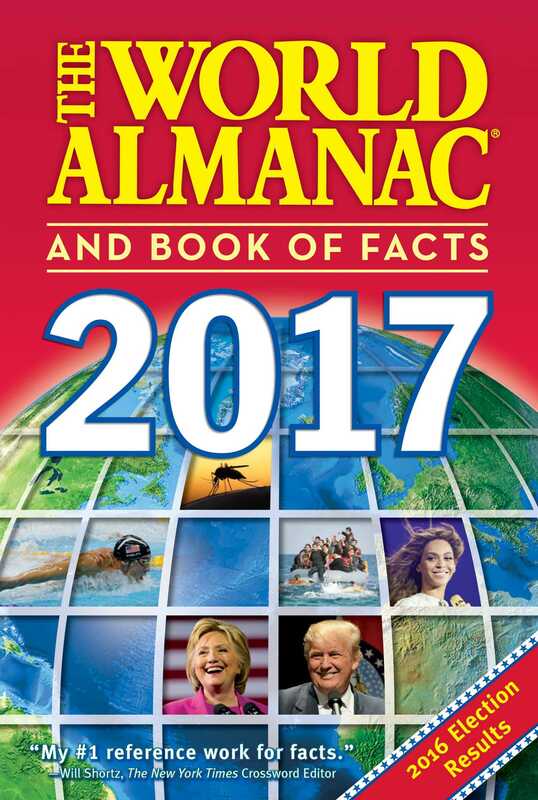 The World Almanac® and Book of Facts is America's top-selling reference book of all time, with more than 82 million copies sold. Since 1868, this compendium of information has been the authoritative source for all your entertainment, reference, and learning needs. The 2017 edition of The World Almanac® reviews the events of 2016 and will be your go-to source for questions on any topic in the upcoming year. Praised as a "treasure trove of political, economic, scientific and educational statistics and information" by The Wall Street Journal, The World Almanac® and Book of Facts will answer all of your trivia needs—from history and sports to geography, pop culture, and much more. • 2016—Top 10 News Topics: The editors of The World Almanac® list the top stories that held the world's attention in 2016.